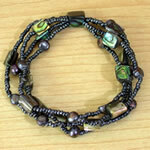 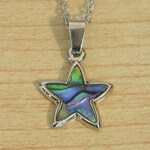 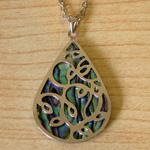 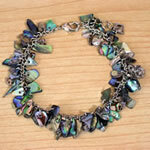 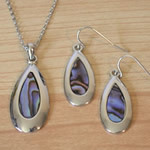 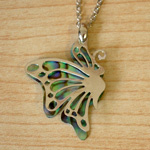 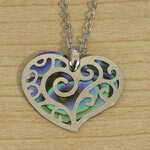 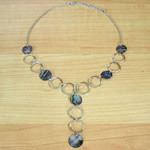 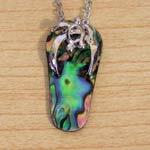 Paua Jewellery Wonderful New Zealand Gifts. 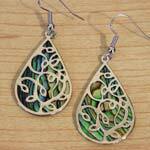 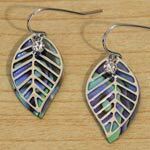 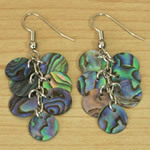 This Paua Jewellery is our most popular range of New Zealand Natural Paua Earrings and Pendants. 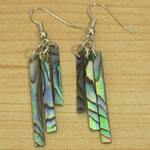 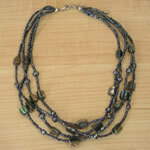 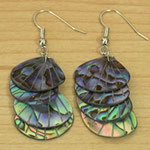 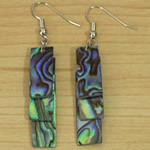 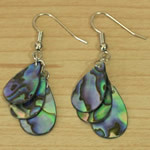 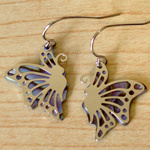 They are made from paua shell and have not been dyed or coloured in any way, and are set in a rhodium metal. 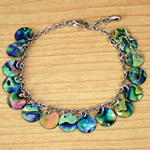 This prevent the metal from tarnishing which is especially useful if you live in a volcanic area that has a high sulphur content in the air. 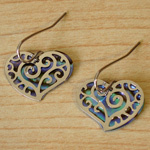 Some pendants have matching earrings available. 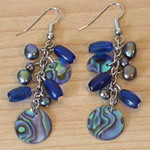 Each item comes packaged in a small blue organza bag.